The [Variety Style Charm] styling handbag could bring glamour into your life. The shiny silver and gold tone studs and buckles, decorative pendent contrast the classic silhouette of this enchanting fashion handbag. Soft, chic and modern shape gives it timeless appeal. The approx measures of this nice bag are: (L)16.5 inches X (W)6.8 inches X (H)14 inches. 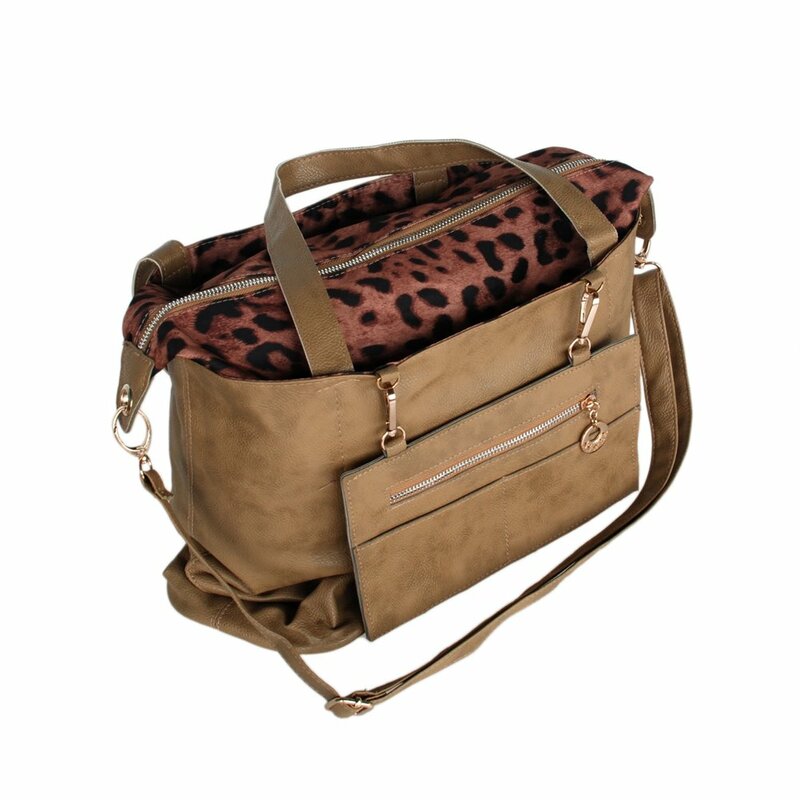 The variety style bag consists of a convertible tote bag, a leopard shoulder bag with a removal strap and a small removal zipper pocket, this fashion bag gives it enough space to store your daily items. The special design makes it an outstanding fashion statement and easy to carry. You could also convert the leopard side to the surface. Clean lines, neat stitching and durable materiel make this handbag a sophisticated must-have for everyday use. Just wear this bag and evokes everyone's attention. It's also a great gift for you to surprise your special someone.